5th Street was one of the restaurants that I first fell in love with in Victoria. For restaurants with great value, it's pretty hard to beat! Like most restaurants, they've had to compromise a little bit as food prices have risen. I would say the quality to price ratio still seems pretty good, but the portions might be a little less generous and the entrees have snuck up in price over the $20 mark. 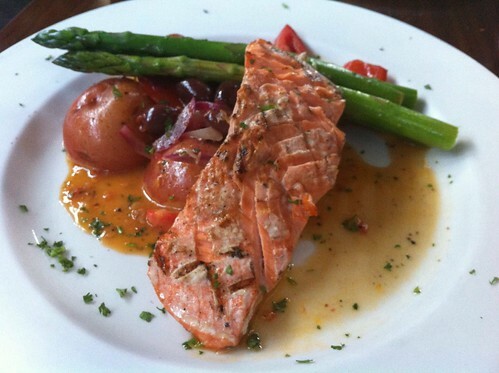 Overall, their menu still offers a great night out with some options for really bargain dining. It's one of those restaurants that I like to nudge people towards instead of a chain alternative, because the overall experience is solid and there's something for everyone on the menu. The restaurant is almost always busy (and noisy), no matter when you come, but there is plenty of space on either the bar (for a pint and appy) or grill (restaurant) side, and in the summer there are patios on both sides. Plan extra time to find parking - the space behind is almost always full and driving across busy Hillside to find a spot that's not residential only is a challenge! The space is quite classy, with brick walls, wooden floors and an open feeling, almost like a loft or art studio. They also have a wood oven, which makes both delicious food and a delicious smell! The one flaw at 5th Street is that the menu doesn't change very often. In some ways that's a good thing... it's nice to have consistency and it's the worst when a restaurant redoes their menu and removes your favourite. At the same time, it's not so large of a menu that you can eat there regularly without getting a bit bored (at least, if you're 50% fussy and 50% adventurous like me!). This is definitely why it has fallen off our radar... but I'm kind of glad to have re-discovered it! This is the one thing that we always, always order. It's on the appetizer menu for 5.95, but basically could almost be a meal on its own! 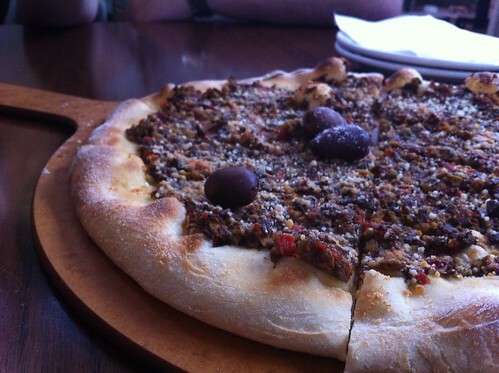 It combines the deliciousness of the wood-fired pizza with the salty goodness of olive tapenade and parmesan. Once long ago, when my partner-in-food-and-life was having a particularly grumpy day, I stopped in and ordered this to go as a degrumpifier (it worked!). This was my p.i.f.a.l. 's choice. It was one of the daily specials, and it's been too long since we visited before writing this so I'm blanking on how much it cost, but I feel like it was closer to $20 than $15. A pretty good deal, and quite well executed, but ended up coming up rather small. An increase of the veggies on the side would have made it feel like better value. 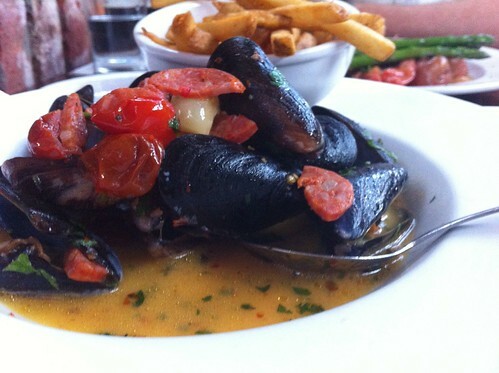 The mussels came topped with the daily sauce, a tomato-chorizo broth. I substituted the bread on the side for fries, although it didn't translate quite as well as I had hoped because the sauce was less saucey and more brothy, it was still delicious. When combined with the tapenade appy it was more than enough food, and we couldn't squeeze in a dessert. Once again, it's been too long between when we visited and when I blogged. I made some notes about the food early on, but neglected to write anything down about the service! Clearly nothing stuck out in my brain as either devastating or outstanding!